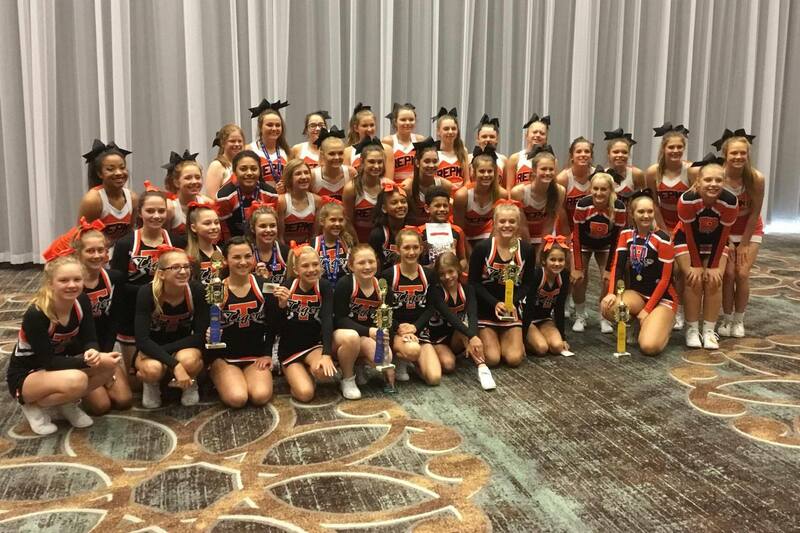 Repmo cheerleaders competed (and won several awards) at this summer's camp. Republic’s cheer squad takes the stage for its annual Cheer Showcase Friday night at Republic High School. Just like every other year, it’s the traditional start to competition season for the cheerleaders. This year, though, the season is off to a different start, and will take a different path from previous seasons. “To start, we only have one team this year,” says head coach Matthew Massey. “This allows me to have an amazing assistant coach, Brittny Rogers, which in turn allows the girls to have two coaches at most events. The squad attended an invite-only “Master’s Camp” organized by the Universal Cheerleaders Association this summer. It’s the first time at the camp, which featured top-level instructors and focused more on preparation for competition than previous camps. Senior Morgan Wojciechowski has been a steady part of the high school program for four years, and says she enjoyed the changes at this year’s camp. Sophomore Raigan Davis says the camp’s focus on stunts and technique will carry over as the season progresses, and the opportunity to compete at nationals has motivated her. Junior Kyra Holt agrees that the opportunity for national competition has increased everyone’s motivation. At the UCA Summer Camp, four Republic cheerleaders earned varsity all-American honors: Caitlyn Sturgis, Kaylin Glenn, Jayden Beverly, and Morgan Wojciechowski. The team also won camp titles in jumps, tumbling, and dance. And Jaydra Phoutone repeated her title as a camp “jump off” winner. Friday’s Cheer Showcase is open to the public. It begins at 7 pm.